Starring Mel Gibson, this is a favourite film for a couple of our staff members, but that is not to say the film isn’t full of areas. In fact, if you were to watch in real carefully you would notice a couple of standout mistakes. The biggest however, is in one of the fight scenes a white van can be seen in the background. A crew member in a cowboy hat can be seen on the boat in the scene where Captain Jack bellows: "On deck, you scabrous dogs". In the scene with Jules and Vincent (Played by John Travolta and Samuel Jackson) – where Samuel Jackson declares: “I will strike down on thee in great vengeance and furious anger …” they kill a man in his mid-20’s, and there’s one hiding in the bathroom getting ready to come out and shoot them, but before he does there is a shot of Jules and Vincent and you can see bullet holes in the wall, but shots haven’t yet been shot at them. Edward reveals to Bella in an earlier scene that Vampires sparkle in the sun, however in the last scene of Eclipse, Edward and Bella are sitting in the sunshine in a field and he is not sparkling. There are also lots of audio mistakes in movies, and scream is a great example. Dewey has just been stabbed in the back, and Sidney comes running toward him. The audio has her screaming “DEWEY” but her mouth is saying “NOOOO”. We’ve got heaps more, but we thought we should keep it limited to only five. Have you got any mistakes that you have seen in the movies and would like to share? Film production is a serious business, and is not as simple as just filming actors doing their scenes, there is so much more that goes into it. That’s why you are bound to see a mistake here and there. To fix every single one of them could cost millions of dollars in additional production and editing times. Media Sound supply high quality audio productions, and we have done a few for various Australian films and television shows. 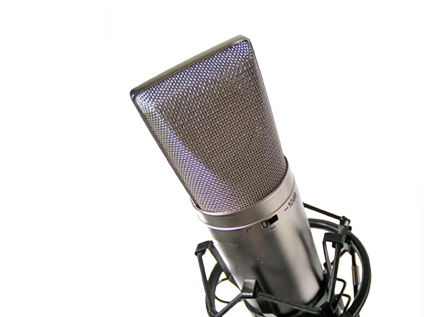 For more information about our audio production service, please call us on 1300 736 465.